BIRTH: About 1566, in the vicinity of Scrooby, Nottinghamshire, England, son of William and Mary (Smythe)(Simkinson) Brewster. MARRIAGE: Mary (maiden name unknown), about 1592, probably in the vicinity of Scrooby, Nottinghamshire, England. DEATH: 10 April 1644 at Plymouth. This chest, on display at the Pilgrim Hall Museum in Plymouth, is said to have been brought on the Mayflower by William Brewster. William Brewster was born about 1566, the son of William Brewster. He was educated in both Greek and Latin and spent some time at Cambridge University, although he never completed a full degree. He went into the service of William Davison, then Secretary of State, while his father back home maintained a position as the postmaster of Scrooby, Nottinghamshire. Under Davison, Brewster first traveled to the Netherlands. After Davison was removed as Secretary of State by Queen Elizabeth, Brewster worked himself into his father's postmaster duties and maintained Scrooby Manor. Brewster was instrumental in establishing a Separatist church with Richard Clyfton, and they often held their meetings in the Manor house. 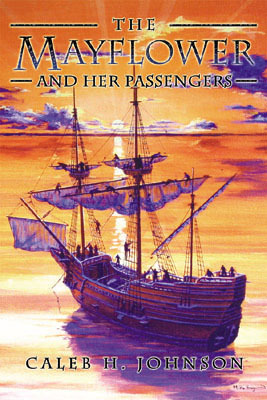 Brewster and the others were eventually found and forced out, and fleeing prosecution and persecution they headed to Amsterdam in 1608, and moved to Leiden, Holland in 1609. Brewster became the church's Elder, responsible for seeing that the congregation's members carried themselves properly, both helping and admonishing them when necessary. In Leiden, Brewster working with Thomas Brewer, Edward Winslow, and others, began working a printing press and publishing religious books and pamphlets that were then illegally conveyed into England. Brewster also employed himself teaching University of Leiden students English. By 1618, the English authorities were onto him and his printing press, and had the Dutch authorities in pursuit of him. Thomas Brewer was arrested and held in the University of Leiden's prison, but Brewster managed to evade the authorities and went into hiding for a couple years. When the Leiden church congregation decided to send the first wave of settlers to establish a colony that everyone could eventually move to, their pastor John Robinson decided to remain behind in Leiden with the majority of the congregation, intending to come later. 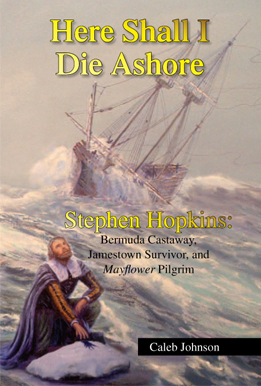 The smaller group that went on the Mayflower desired the next highest ranking church official, Elder Brewster, to go with them; so he agreed. 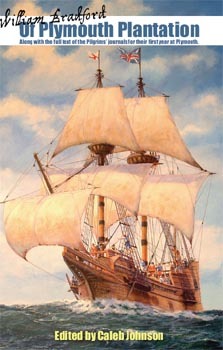 He brought his wife Mary and two youngest children, Love and Wrestling, on the Mayflower with him. Brewster continued his work as Church Elder throughout his life at Plymouth Colony. His wife Mary died in 1627, and he never remarried. He lived to be nearly 80 years old, dying in 1644. His estate inventory lists the titles of several hundred books that he owned. Shortly after he died, William Bradford wrote a short but concise biography of Brewster in his history Of Plymouth Plantation, though he erroneously filed it under 1643 instead of 1644. 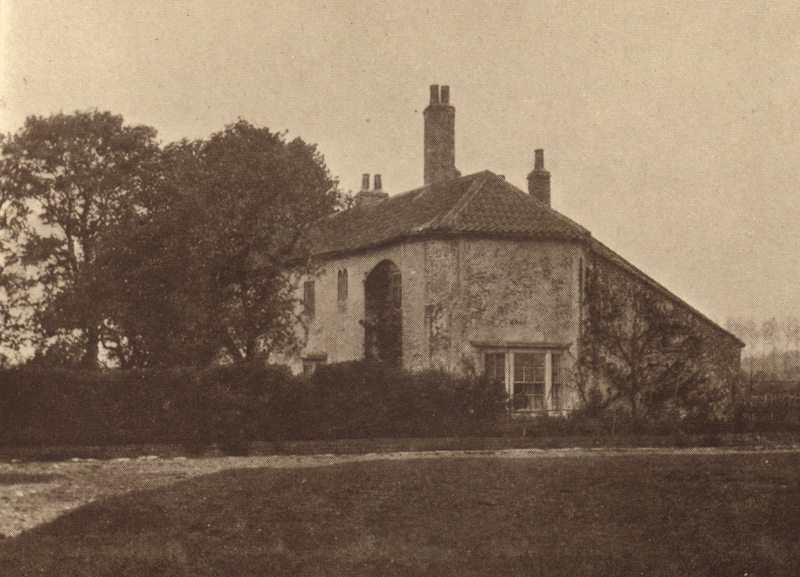 A 19th century photograph of Scrooby Manor, where William Brewster lived and served as postmaster, and where the early Separatists held some of their secret meetings. Perth Assemby, the book William Brewster secretly published and distributed in England in 1619 that made King James extremely angry and resulted in the eventual confiscation of his printing press, the arrest of Thomas Brewer by University of Leiden authorities, and forced Brewster into hiding. A page from the "Brewster Book," containing some of the family birth and death records for William and Mary Brewster and their children. St. Wilfred's, Scrooby, formerly St. James, Scrooby, the parish church of the Brewster family, where presumably William Brewster was baptized and married, and where his children were baptized. One of the surviving "Brewster pews" inside the Scrooby church. One pew was gifted to the Pilgrim Hall Museum in Plymouth as well. Interior of the Scrooby church. Exterior of the only surviving portion of Scrooby Manor, where William Brewster resided and where the Pilgrims held their secret church gatherings from about 1604 to 1607.